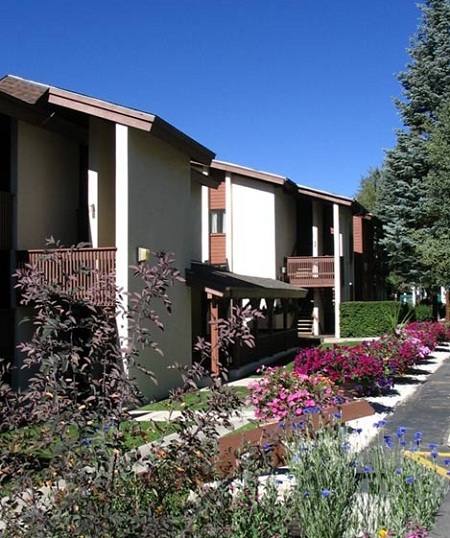 Enjoy 7 Nights in a Studio or 1 Bedroom Suite at Apollo Park in Vail, CO! These updated rustic ski resort condominiums are approximately 100 miles (160 kilometers) west of Denver in the towering Rocky Mountains. Guests will enjoy skiing, ice-skating, golf, and horseback riding, all nearby. Fine restaurants, shopping, and nightlife are found in the alpine village surroundings of Vail, all within walking distance. Fully furnished units offer kitchens with full-size refrigerators, gas fireplaces in the living room, and updated baths. Units include Cable TV, and DVD. Your STUDIO UNIT comes with a full kitchen and will sleep up to 2 people. Your 1 BEDROOM SUITE comes with a full kitchen and will sleep up to 4 people. The resort environment is very rustic. The resort/management requires guests to contact the resort/management prior to check-in for instructions. UNITS DO NOT HAVE AIR-CONDITIONING. RESORT DOES NOT HAVE AIR-CONDITIONING.